Reaffirms the tissue and smoothes the skin's natural anti-cellulite product, from natural vegetable oils known draining effect. Its advanced innovative formula activates the skin metabolism and facilitates the movement of fluids. Its constant use by gently massaging prevents the appearance of cellulite if predisposition to develop it. Should have said, it helps to visibly improve the condition and appearance of the "orange peel". For best results it is recommended to prepare the skin with body scrub birch. Suggested use: 1. 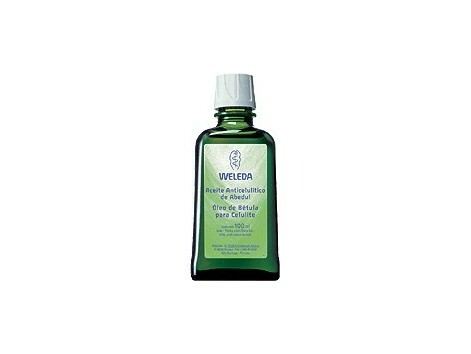 Massaging the skin dry for 5 minutes, for example with Weleda massage brush or mitt and activates the lymphatic fluid. Always endeavor to achieve the massage with moderate pressure and toward the heart. Two. Applying cellulite birch oil by massage in circular motions until completely absorbed. In the first 4 weeks is recommended to repeat the treatment two times daily. To maintain the long-term is recommended to continue with the application daily. Composition: apricot kernel oil, jojoba oil, wheat germ oil, natural essential oils, oily extract (apricot oil) of birch leaves, butcher's broom and rosemary. Ingredients (INCI): Prunus Armeniaca (Apricot) Kernel Oil, Simmondsia Chinensis (Jojoba) Seed Oil, Triticum Vulgare (Wheat) Germ Oil, frangance (Parfum) *, Betula Alba Leaf Extract, Ruscus aculeatus Root Extract, Rosmarinus Officinalis (Rosemary) Leaf extract, Limonene *, Linalool, Geraniol *, Citral *. * From natural essential Oils. 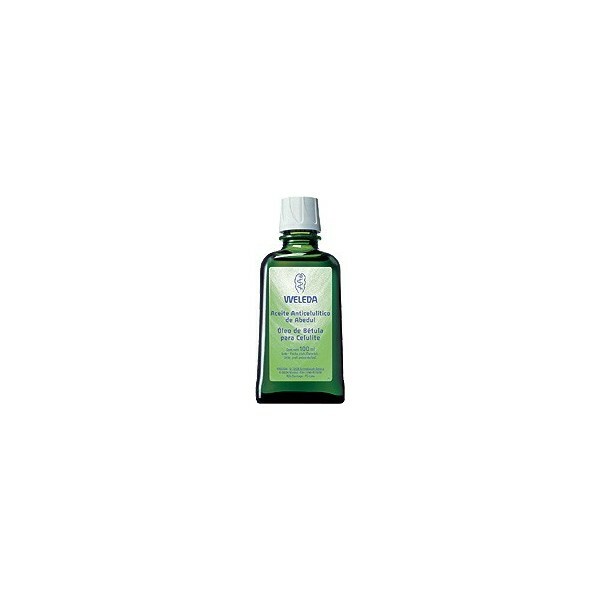 Bottle 100 ml ** Beautiful inside and out: the ideal complementary product for treatment with this oil is the Weleda Birch Juice.